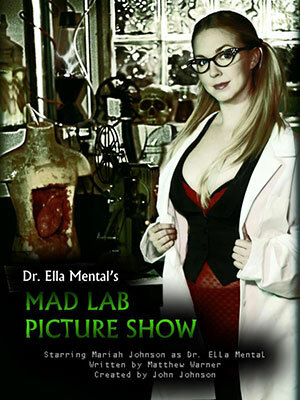 Dr. Ella Mental, mad scientist and former host of the Spade audience-participation web series, hosts a double feature of Night of the Living Dead and The Satanic Rites of Dracula online. Flicksphere.com allows you, the viewer, to manipulate Ella’s story between movie segments. Will her evil alter ego, Hydie, come on screen? Will she do the next segment in a wet T-shirt? A foul, fun romp for horror fans.